I was in Belgium with a couple of friends for the rest of the holiday break. 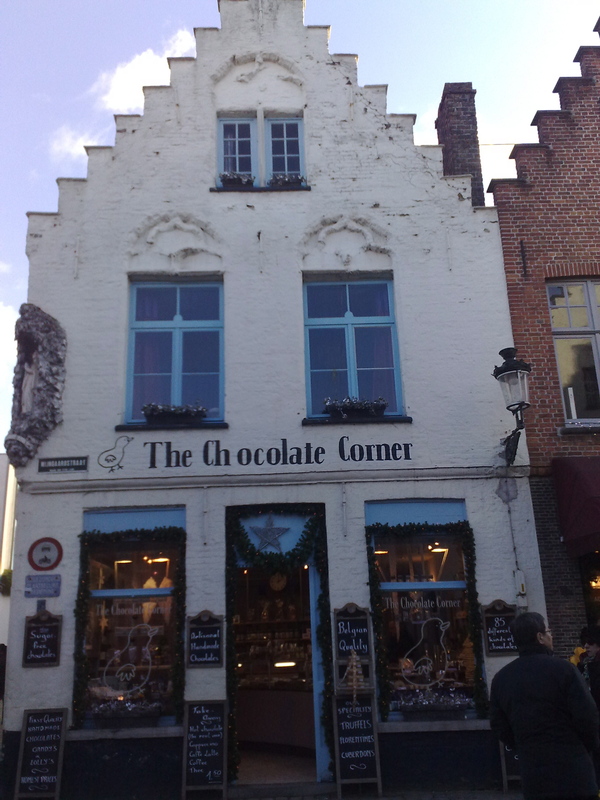 I eventually got to visit Antwerp, Leuven, Brussels, and Brugge. It was great to finally take a break from Heidelberg and get out of Germany after being here for about seven months now. I must be honest: Belgium is not the best place to be in the winter. It rained most of the time and, except for the perfectly sunny new year’s day in Brugge, it was pretty much damp, frigid, and foggy everywhere we went. (No offense to all the Belgians and Belgium-lovers out there.) Why should people still go to Belgium then? The simplest answer must be the food. 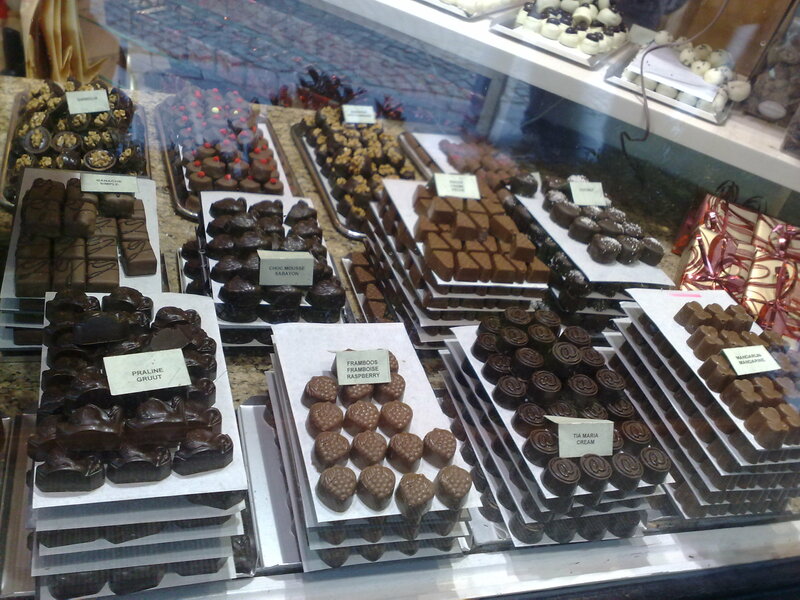 You’re never too far from a chocolate shop, be it an unknown stand, or something as popular as Godiva, Neuhaus, or Cote D’Or. Leonidas is to Belgium as McDonald’s is to the USA. Inescapable. 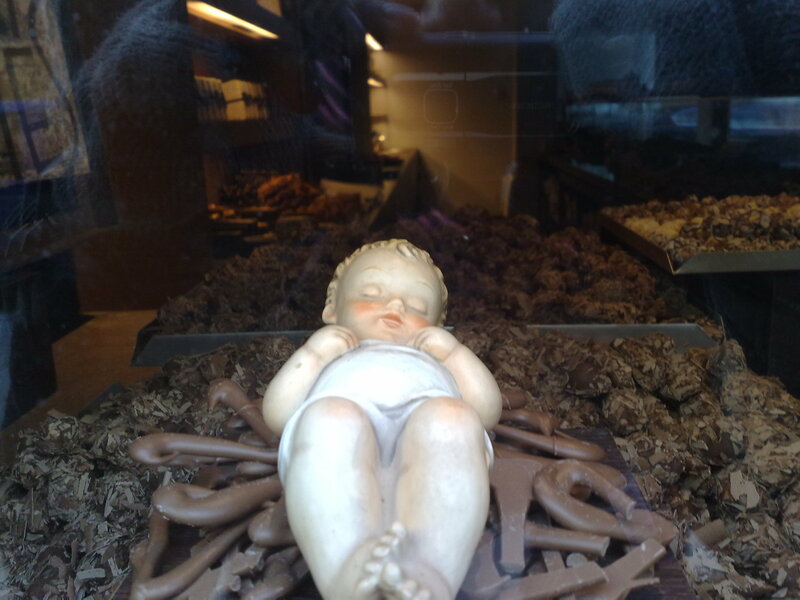 Baby Jesus on a bed of chocolate. 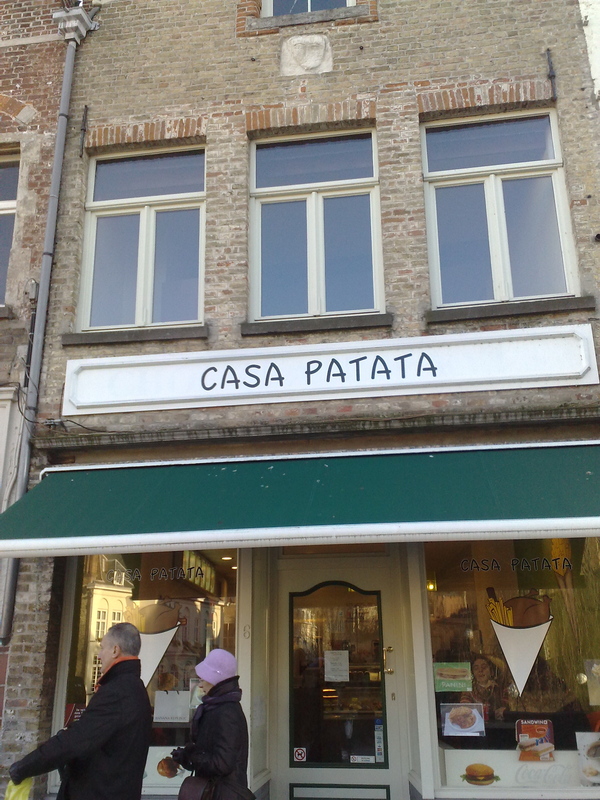 Only in Belgium. 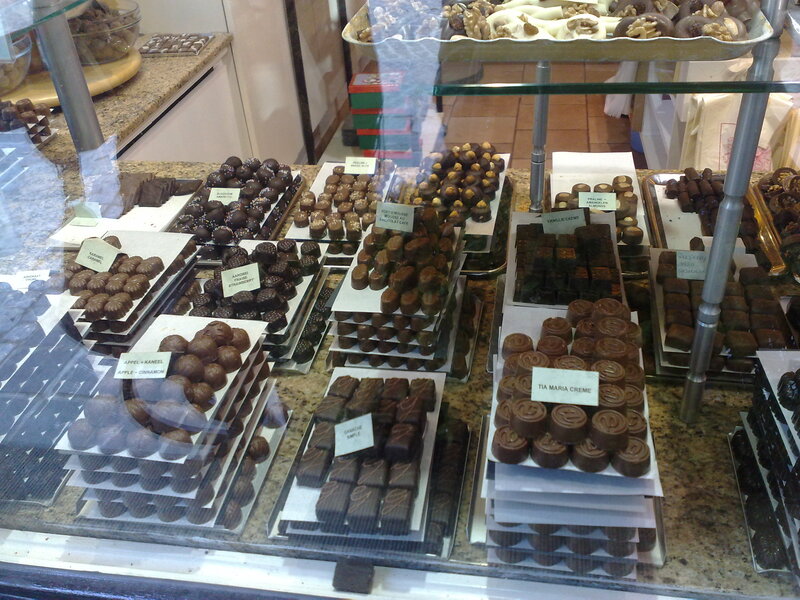 And put your chocolate truffles in a chocolate box. Environment-friendly packaging! Sometimes they're just one store apart. 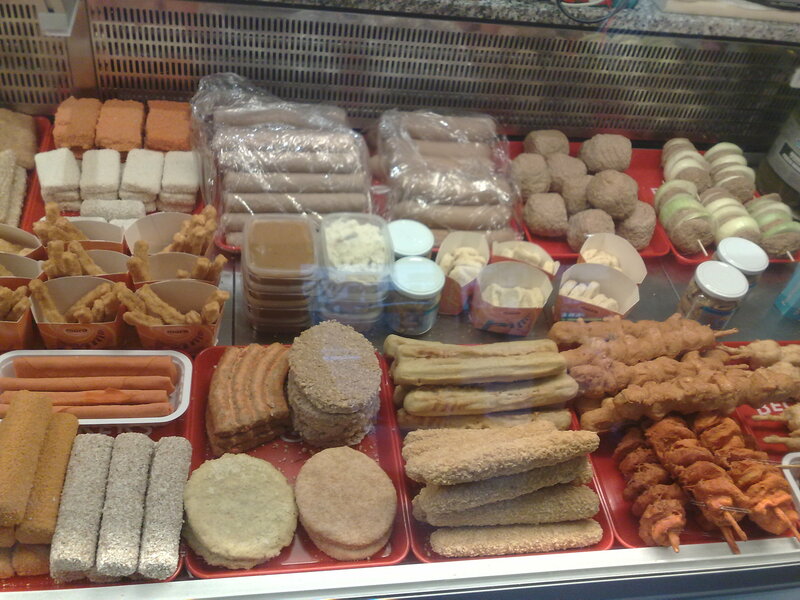 The Frituur stands are just as ubiquitous as the chocolate shops. There are the thick golden brown fries (perfectly crisp on the outside and fluffy inside), but these shops also sell fried krokets, nuggets, ribs, and sausages. 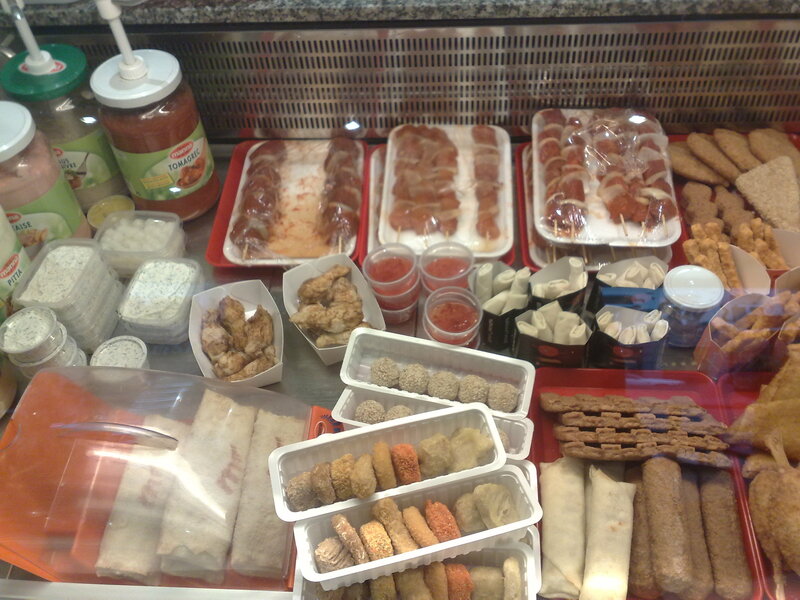 Everything is made to order so you’re sure the food is still hot and crisp when you get it. Make sure to visit a simple stand with long winding lines of students (not tourists) in front of it. These kiosks usually have late opening hours- perfect for the munchies after a long party or day’s worth of sight-seeing. Whole chicken and chips in a paper cone... interesting. 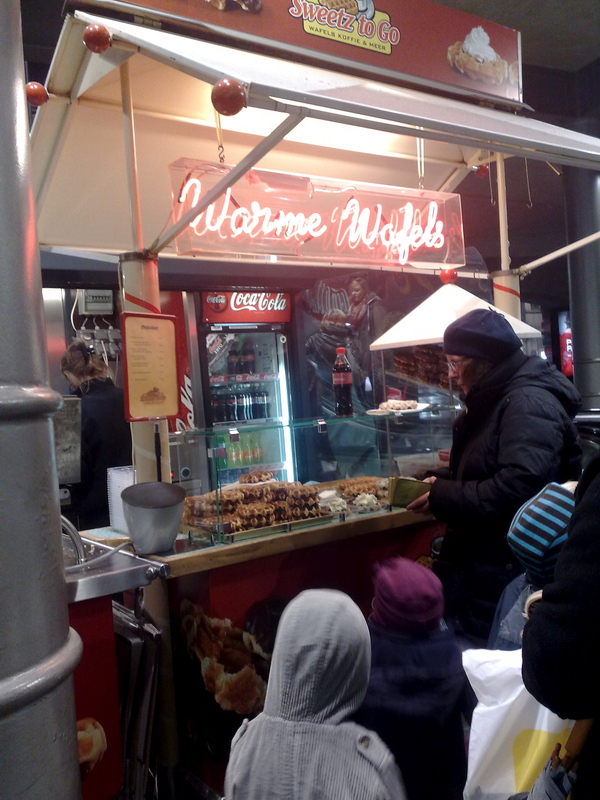 To complete the Belgian triumvirate of street food are waffles or gaufres. Oui educated me about Belgian waffles during my stay. 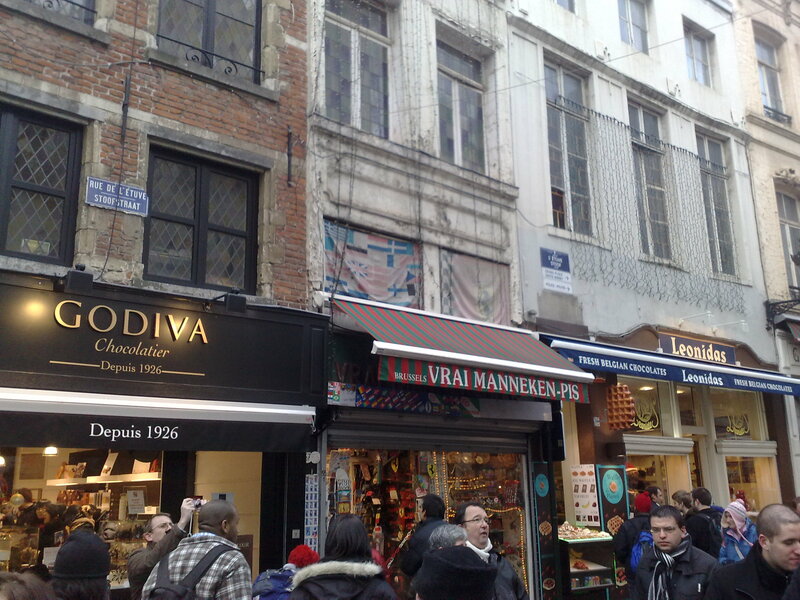 There are two general kinds of Belgian waffles: the Liege/Luikse Waffle and the Brusselese/Bruxelles Waffle. The Liege waffle is oval in shape, denser, and has pearl sugar, making it naturally sweet. In my opinion, it is best eaten without any toppings. The Brussels waffle is usually larger and rectangular in shape. It is lighter since it does not contain any pearl sugar crystals. Thus, it is best eaten with a topping of cream, fruit, chocolate, or a dusting of powdered sugar. Cheap waffles will only cost 1,5o Euro. Most of the ones near major tourist spots will cost 2,00. It’ll also cost more with added toppings. Remember, though that one’s first authentic Belgian waffle should always be plain. (Dusted with sugar if it’s a Brussels waffle). Oui and I will testify to this. A good waffle should be warm and crisp on the outside, but soft inside. 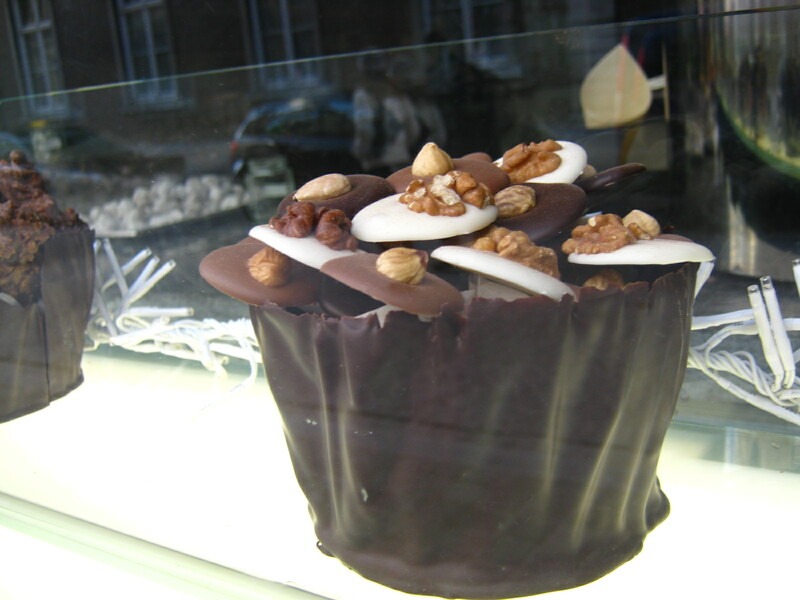 Don’t waste your time eating the pre-made ones covered with hardened chocolate. Those are usually cold and stale. I made that mistake just once. Still good, but not good enough. 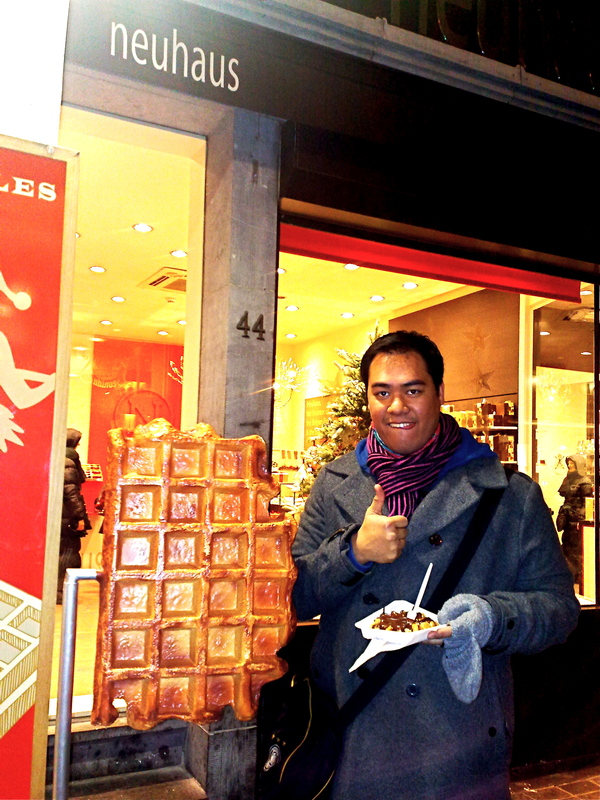 No.3: The plain Liege waffle in Leuven near the town center (facing the statue called Fons/Fonski). 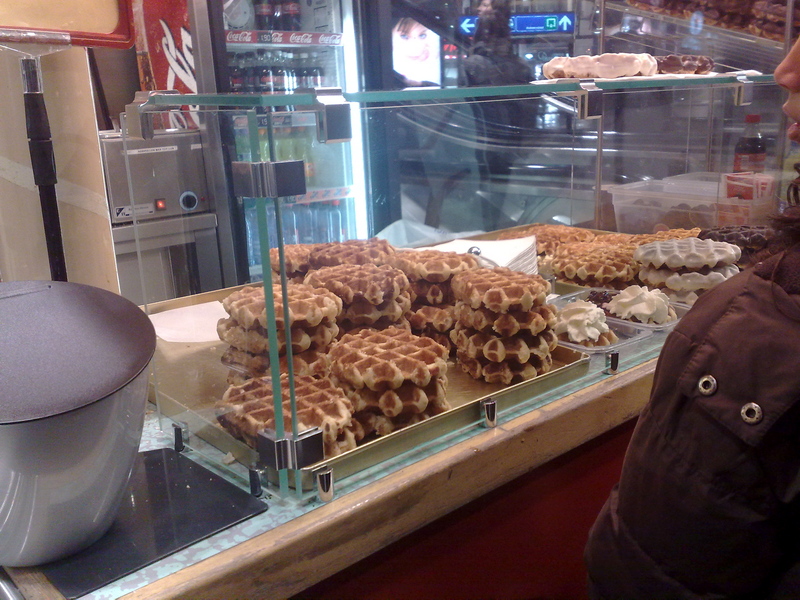 No.2: The plain Liege waffle from the stand inside the Antwerpen Central Station (near the exit and the escalators). Tourist tip: If you want to take some home, get a pack of the Valerie Liege Waffles and heat them up in the toaster. Almost like freshly-prepped ones. The stand in the Antwerpen Central Station. 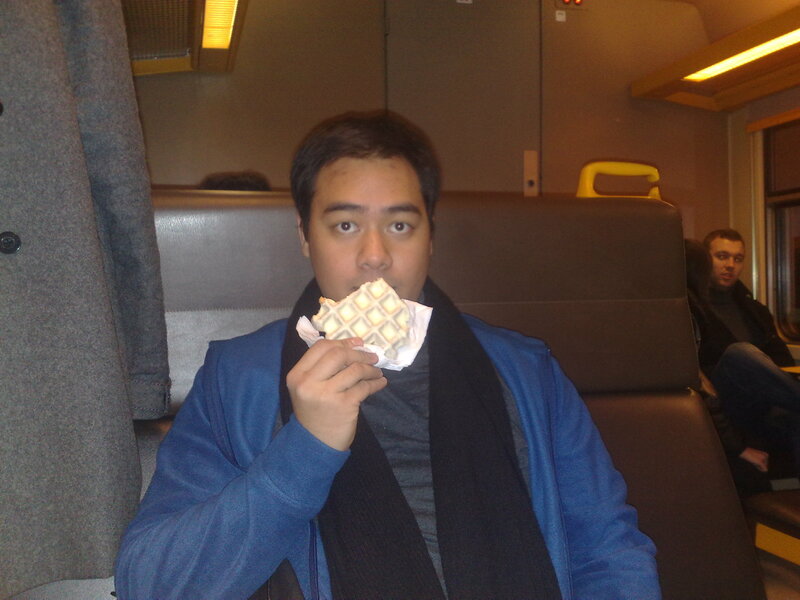 My first genuine Belgian waffle. Waffle shop in Brussels gets my seal of approval. BEST waffle (with chocolate sauce) ever! 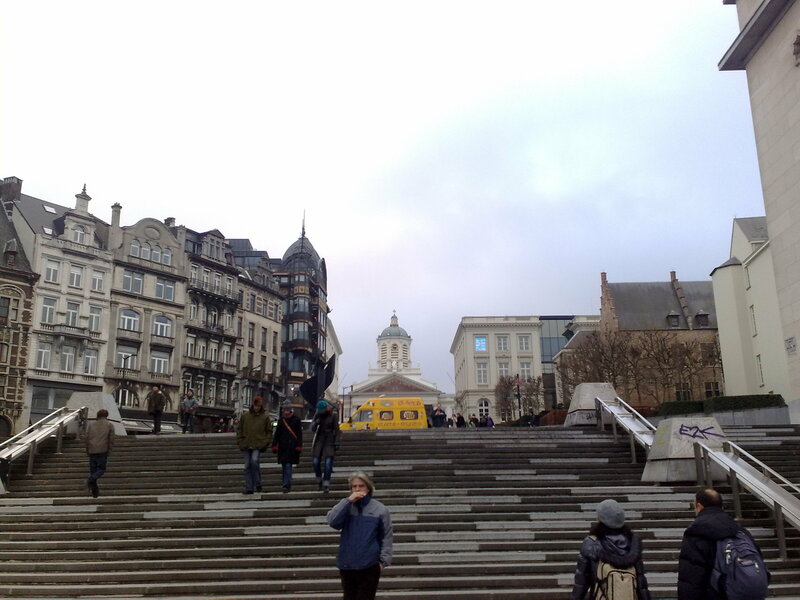 A bright yellow waffle truck greets tired tourists after climbing a hill in Brussels. I love how it blocks all the architecture behind it, haha. What do we wash all the chocolate, fries, and waffles with? Why Belgian beer, of course! I live in beer-lover land myself, but even in Germany, beer is not the No.1 drink. (TRIVIA: Coffee is!) 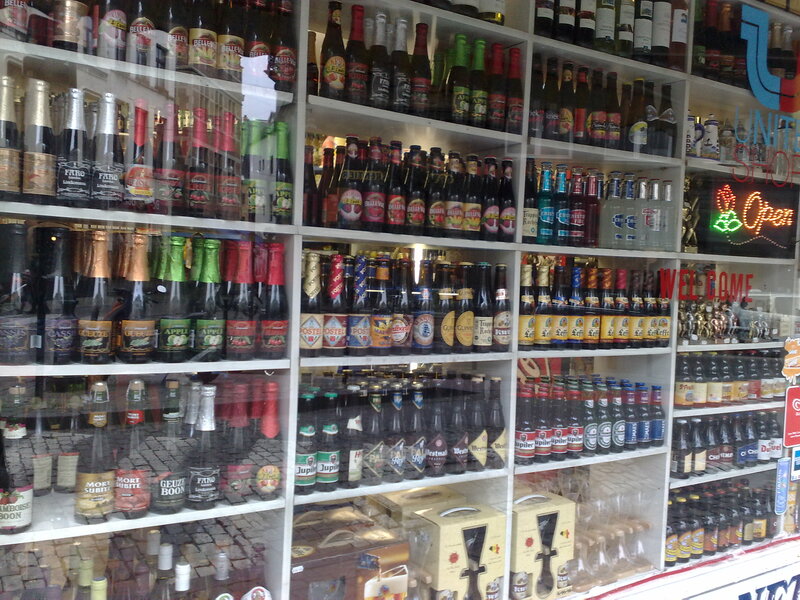 The Belgians, however, have placed beer in the top spot. In some restaurants, you can sample at least 100 beers. Come to think of it, you don’t even have to visit one of these bars. Just head for the nearest supermarket or night shop and have your fill. (1) Leffe triple: An Abbey beer/ale. Strong bitter flavor at first, but ends with a caramel aftertaste. (2) Chimay bruin: Another Abbey/trappist beer. The brand name caught our attention first, but I’m glad we tried it. Bold flavors like Leffe, but goes down even smoother. It actually gets sweeter as you keep on gulping it. The best beer I’ve tasted. (3) Hoegaarden Forbidden Fruit: Like the name suggests, this beer is really fruity. Light like the regular Hoegaarden, but has some hints of spices and orange. (4) Belle-Vue Kriek: Very sweet raspberry beer. You almost can’t taste the alcohol. Still delicious, though. (5) Stella Artois: I first tasted this during my trip to Europe three years ago. It became one of my fave beers then. Now that I’ve had the opportunity to taste so many beers in Germany and Belgium, though, the Stella just falls flat. When I drank it in Belgium recently, it just seemed too watery and just lacked the depth of flavor I like in a beer. Too bad, especially since the headquarters is just in Leuven, where Oui lives. 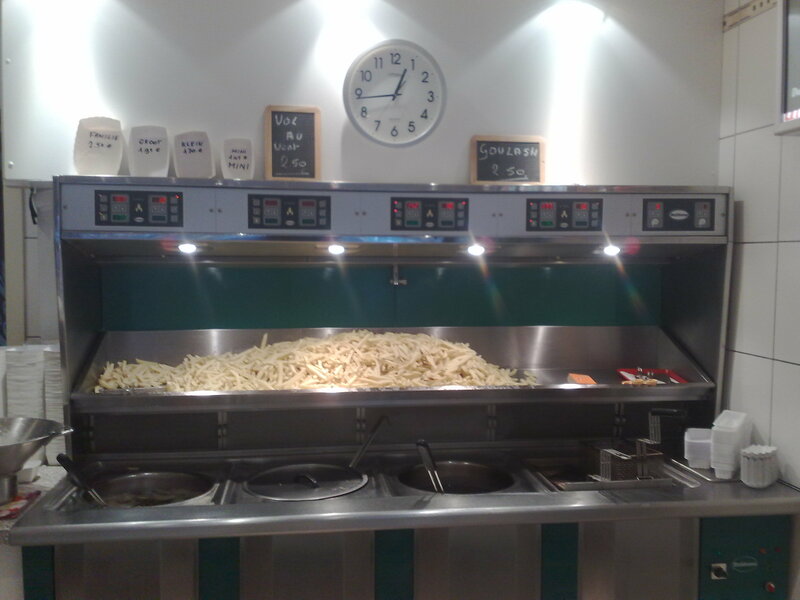 In Antwerp, the De Bedstay Hostel didn’t just have a really good location and cozy interiors. The owners also delivered a big breakfast to our door early in the morning. Real value for money! 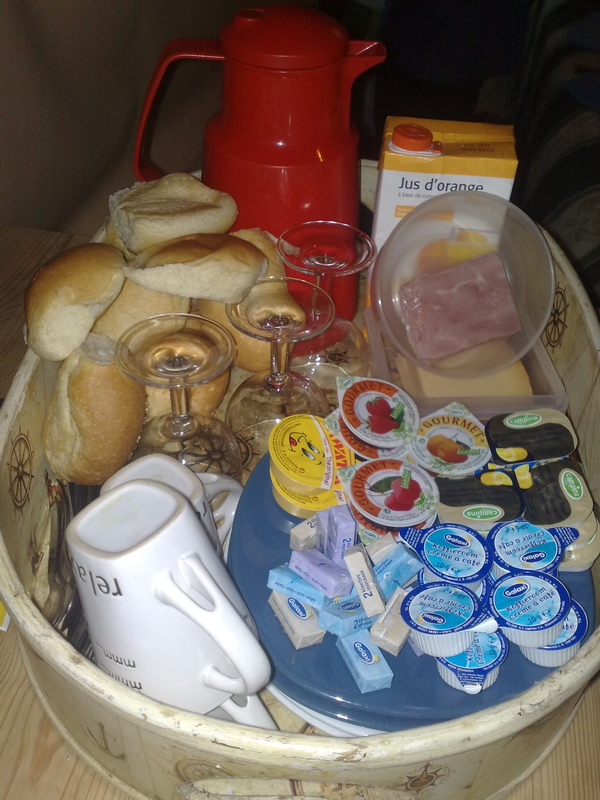 Breakfast at De Bedstay in Antwerpen. 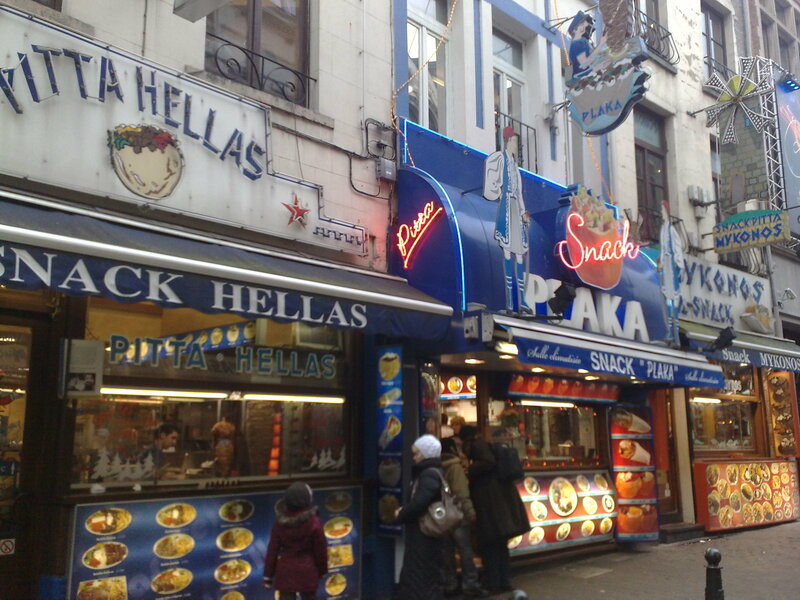 Just behind the Grand Place in Brussels is a small street lined with Greek restos. 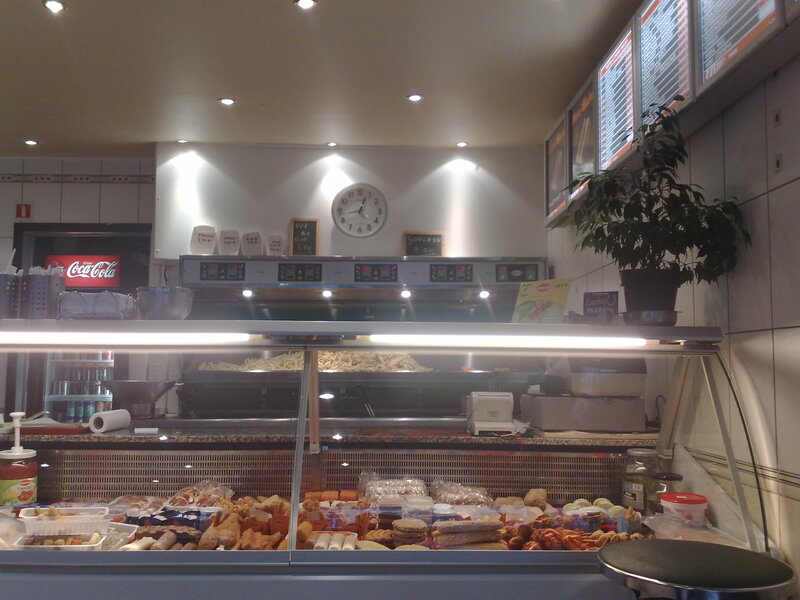 Great deals for authentic Greek dishes here. We went to Mykonos and it wasn’t a disappointment. 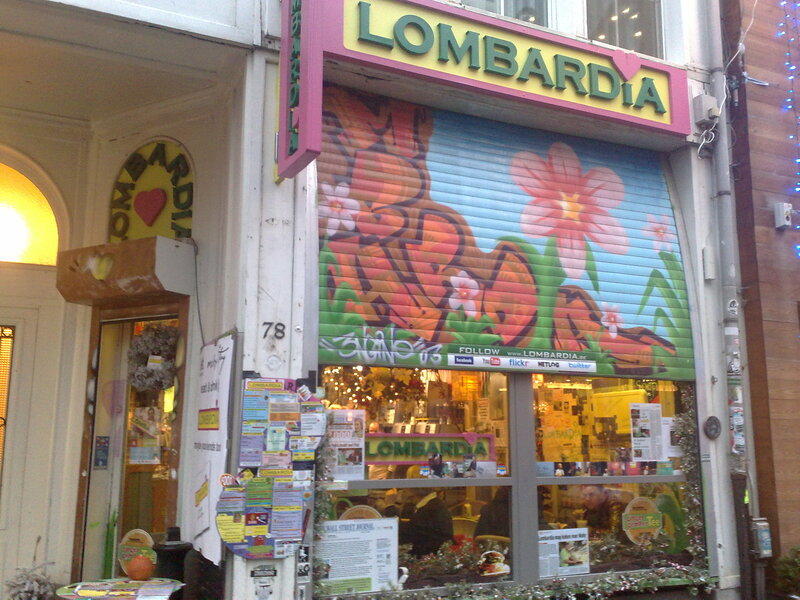 The Lombardia Natural Food restaurant in Antwerpen is a must-see. 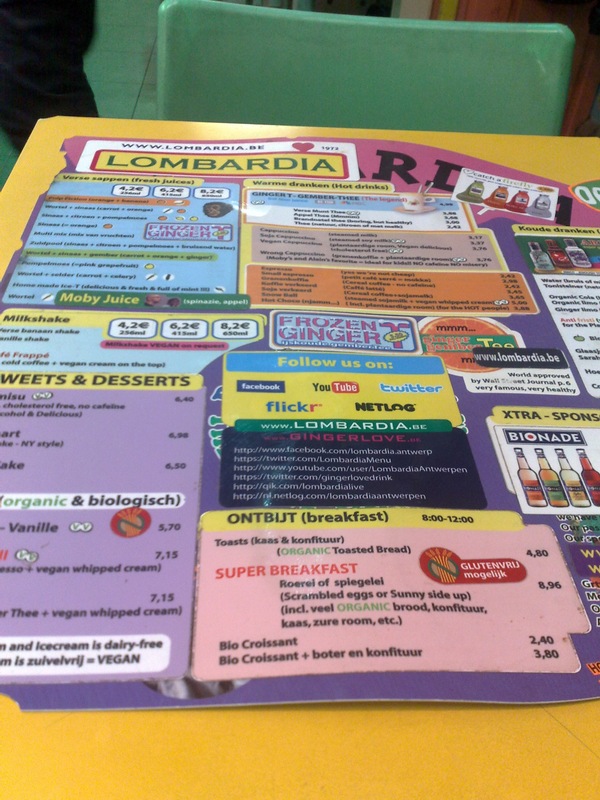 They sell vegetarian and vegan dishes at reasonable prices. 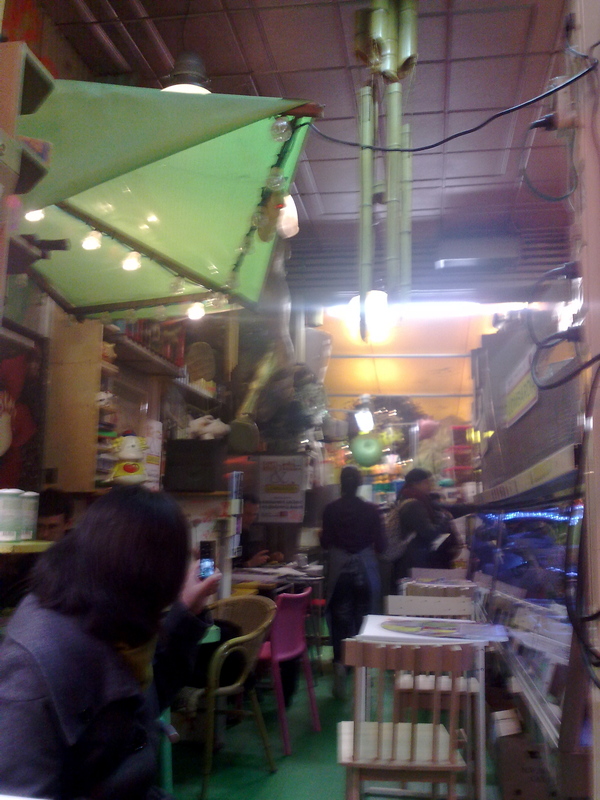 However, people usually visit this place for the atmosphere and their legendary hot ginger tea. 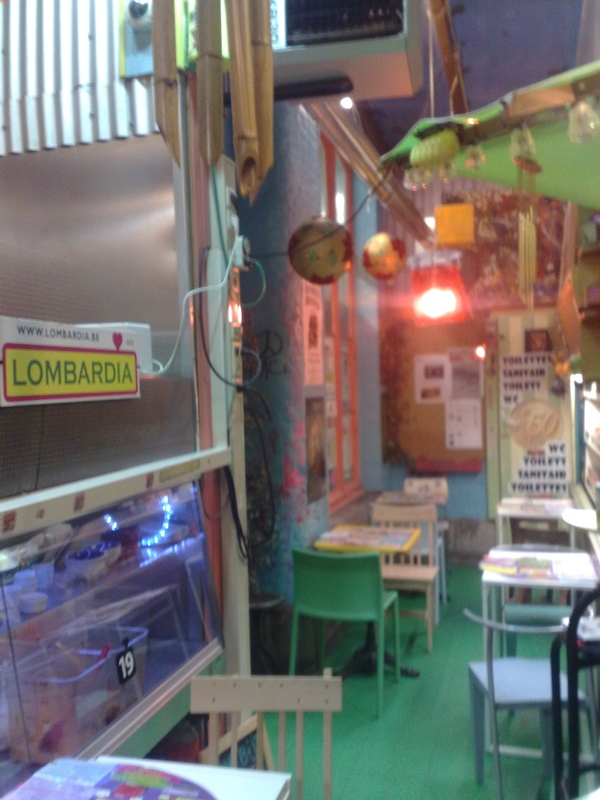 The cafe has a hip flower-power feel to it. Plastered on the walls are pictures of (mostly vegan) celebrities who have hunted for the restaurant and weren’t disappointed (eg. Sting and Moby). The place is in every Antwerp guidebook and has been featured in countless magazines and television shows, both in Belgium and abroad. The owners even claim that a big multinational company has tried to buy their recipe for the ginger tea, but they refused to sell out. The ginger tea’s a bit expensive, but it was worth it. 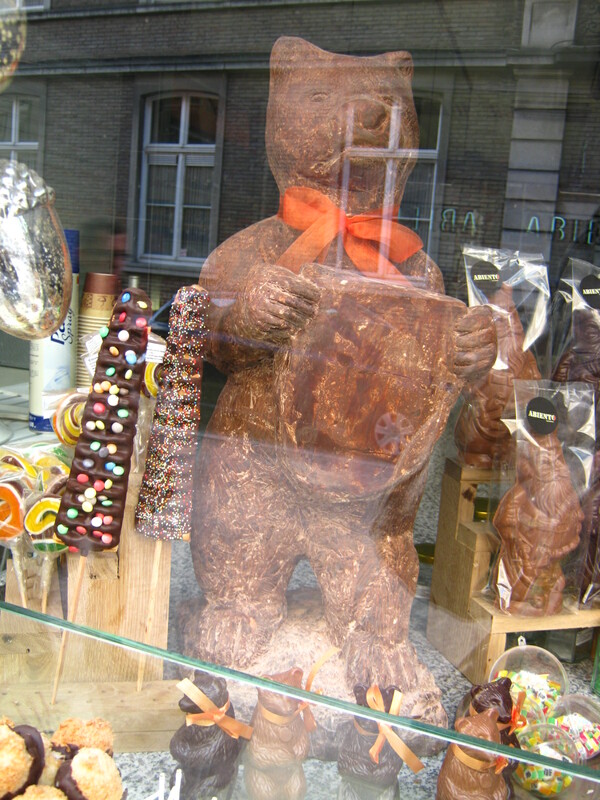 I’ll return to Antwerpen just to have it! The next time I return to Belgium, I’ll make sure to try the Flemish stews and some of their seafood, especially the mussels. These folks love their shellfish so much, they even shape their chocolates that way… Can’t wait to return when it’s sunny. Right now, I need to shed the holiday weight I’ve put on eating all this stuff, haha. glad you’re having fun! i really enjoy reading your blogs. Thanks for blogging about all this delicious food – makes me salivate! 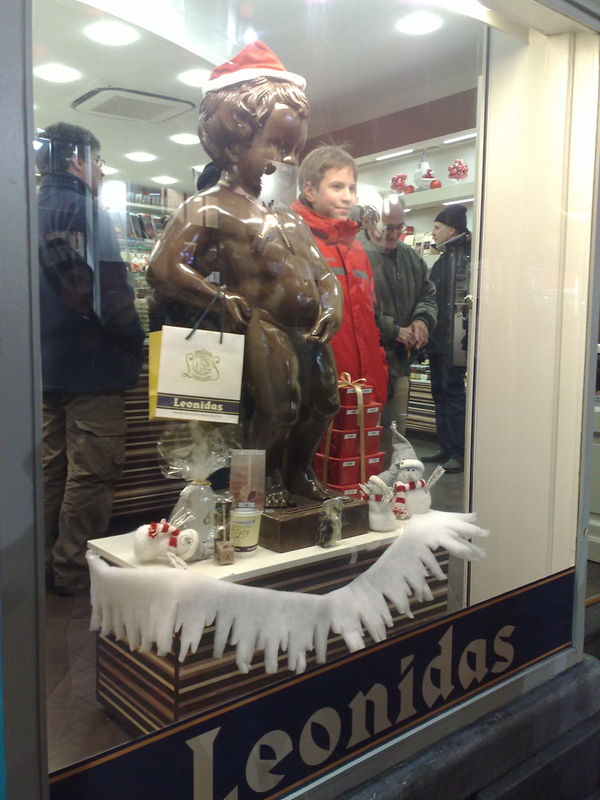 And OMG neuhaus is my favourite chocolate shop… discovered it when I was in Brussels and have bought boxes from London and some other Asian city’s duty free. YUM! Hahaha, good job, David! Now I’m guilty of not posting yet the Waffle Night we had in the lab… Oh, and I took some liberties in editing the typos (“frituur”, “Luikse”, “Brusselese”). – Leffe is not really an “abbey beer” because there is no such place as Abbey Leffe in Belgium–this is just a branding strategy by InBev to market an abbey-style beer. Leffe is produced here in Leuven, together with Stella Artois and Hoegaarden. 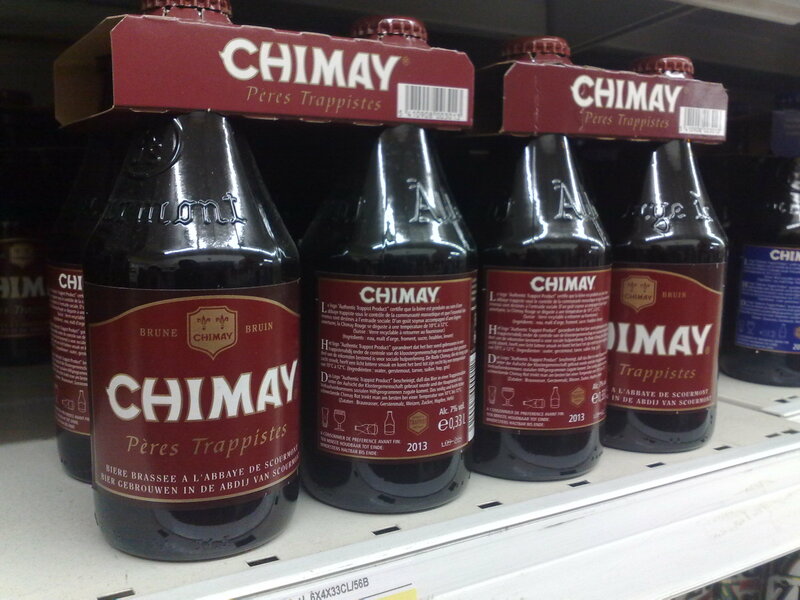 – The real “abbey beers” are Trappist ones like Chimay. Usually these are brown beers, with a DOC (like those 1st class French wines) appellation to a Trappist abbey. In order for a beer to be called an abbey/Trappist beer, it has to be produced within the grounds of the monastery; if I’m not mistaken, there are only 5 places in the world which has this appellation–4 abbeys in Belgium, 1 in The Netherlands. – Kriek beer is sour-cherry beer, not raspberry. The raspberry one is called framboos beer. envy you the taste experience but not the calories, so will have to live by your descriptions and wait until i can go there myself! @Oui – who would think that you would be the beer expert here?